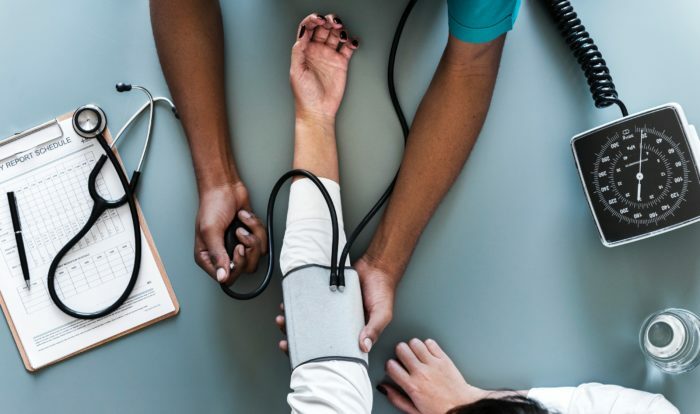 I say this every time I get sick, but it always rings true: Health is your true wealth. There’s nothing like not having your health that makes you truly appreciate it. Lately, I’ve been quiet on the blog and all forms of social media, because I’ve been resting in bed. Yup, I’ve been sleeping about 10 hours/night and drinking loads of water to will my body to heal faster. And it’s working. I’m slowly feeling better, day by day. My recovery is coming just in time. I have a half marathon to train for! I have about 7 weeks before the San Jose Rock ‘n Roll Marathon. Taking a few days off of running makes me nervous. I mean, think about all the workouts I’m missing! But I know it’s the right thing to do. There’s really no point in training if you’re not feeling physically well, because you’ll prolong the recovery process. Easy Running – this is easy running that’s usually at a 59 – 74% intensity or 65-78% of max heart rate, with the purpose of building up resistance to injury. Marathon-Pace Running – this is pretty straightforward. It’s running at your projected marathon race pace to become familiar/comfortable with running at this pace during your actual marathon. Threshold Running – these runs should be comfortably hard and should be manageable for 30-60 minutes. The goal is to improve your ability to clear blood lactate and keep it below a manageable level. Interval Training – this is running hard at your VO2max for 3-5 minutes, with a short recovery in between. The goal is to maximize aerobic power (VO2max). Repetition Training – this sounds very similar to Interval Training, but there’s a slight difference. For one, it’s a bit faster. The purpose is to improve your anaerobic power, speed, and economy of running. You’re running fast, but not necessarily “hard” because you get longer recovery in between. 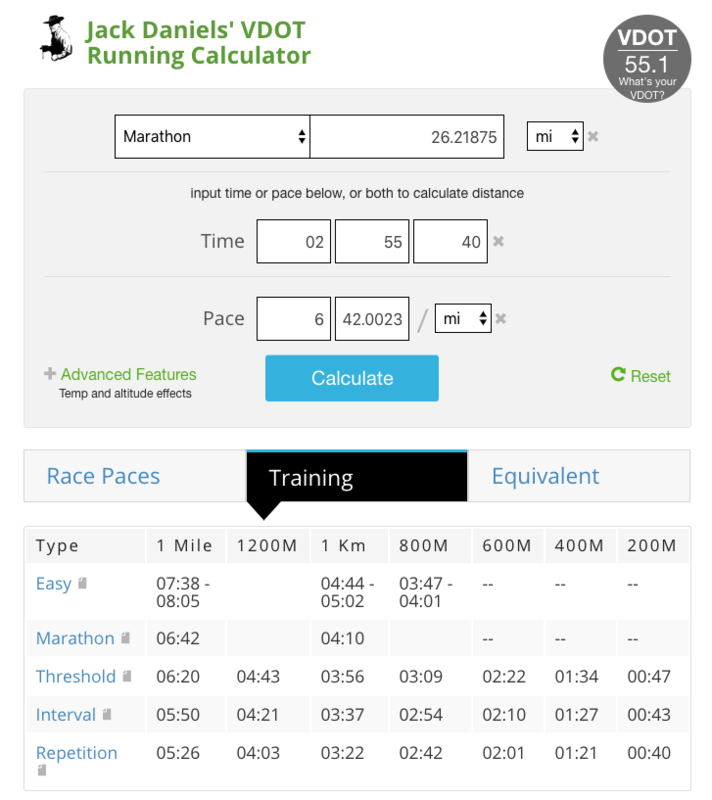 There’s also a Jack Daniels’ VDOT Running Calculator so you can input your marathon time and it generates the pace you should be using for each type of running. The book also provides training plans for distances from 1,500m to marathons. You better believe I flipped right to the marathon training plans. He even provides different plans for newbies, 4-week cycles, 5-week cycles, and 18-weeks. 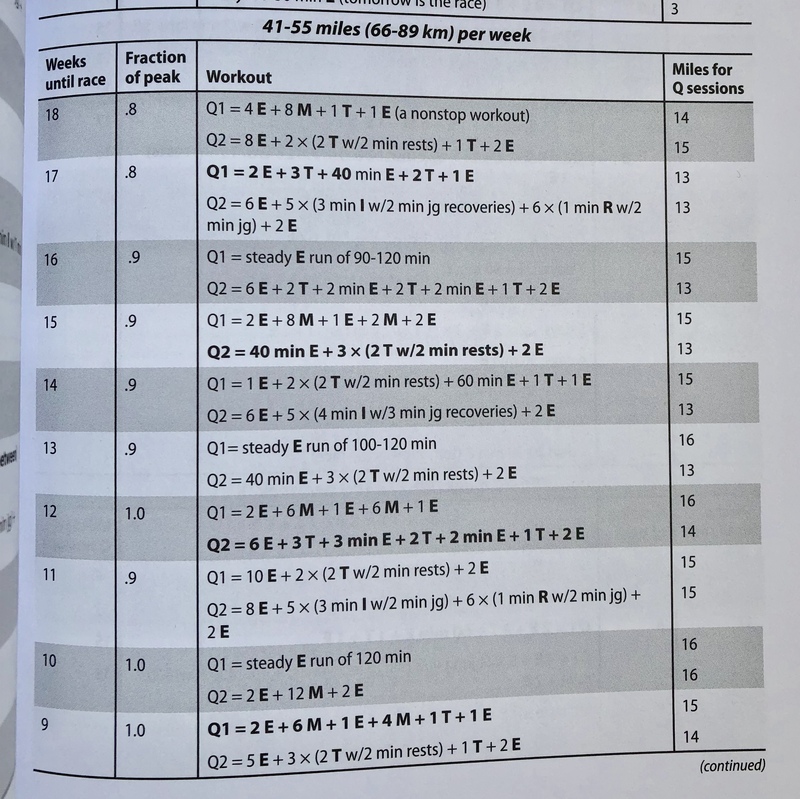 I have ~15 weeks before the CIM, so I was originally thinking about trying the 18-week plan. However, I learned that it totals 100+ miles a week, and I’m not sure I can realistically fit that into my schedule, much less if I can handle that right now. There’s also a 2Q Program, which includes 2 quality training sessions a week. Yup, you guessed it, the Q stands for Quality. Those are the workouts to prioritize if setbacks or challenges come up. You make sure to get your quality workouts in for the week, and make up the rest of your weekly mileage with easy runs. Here’s a snapshot of what the 2Q program looks like, if your goal is to run 41-55 miles/week. The letters stand for the type of running. E = Easy, M = Marathon pace, T = Threshold, and R = Repetition. I’m super fascinated by this and looking forward to getting back to 100%, health-wise, so I can start this plan!